Shakin & Bakin Foodie Blog: 10 Tips from KRUPS for Getting the Most Out of Your Coffee Beans! 10 Tips from KRUPS for Getting the Most Out of Your Coffee Beans! KRUPS, premier provider of coffee and kitchen appliances, knows a thing or two about brewing a great cup o’ Joe, having created the first patented Precise Tamp system for their Espresso Machines, which creates a perfectly compressed coffee ground cake for a consistent shot of Espresso every time. Tip 3 – Do it Yourself: Freshly ground coffee makes a world of difference, as beans start losing flavor immediately upon reaching the grinder. Grind beans yourself right before you brew, and pay attention to the coarseness of the beans, as different filter shapes require different textures. For example, mesh filters require a coarser grind, while paper filters require a finer grind, and espresso requires grinds that are almost of a sugar-type consistency for optimum flavor. The KRUPS Grind and Brew allows the beans to be ground just seconds before brewing, creating the freshest cup o’ Joe possible and the Burr Grinder allows users to choose from 17 grinding settings from fine to course and shuts off automatically after grinding the right amount of beans! 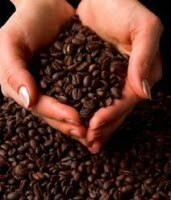 Tip 7 – Become a Coffee Connoisseur: Much like a fine wine, coffee should be enjoyed with all the senses. Take note of acidity, aroma, bitterness, body and nuttiness. For in depth coffee tasting, or “cupping” tips, check out the guide from CoffeeCuppers.com.